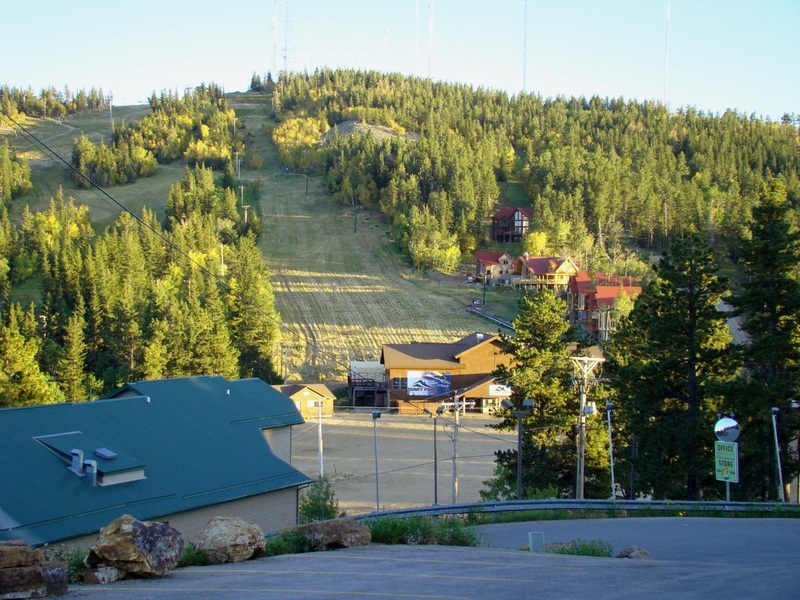 Terry Peak, while being the fifth highest ranked summit in the Black Hills, is not known so much as a hiking destination, as it is a skier’s haven. Most of Terry Peak is on private land and “no trespassing” signs are everywhere. 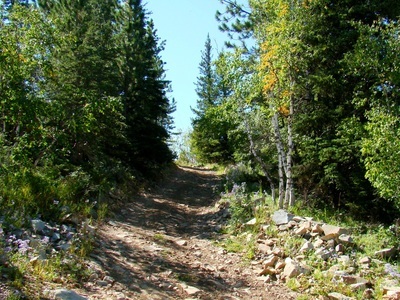 This limits hiking options on the mountain mostly to using the unpaved Terry Peak Summit Road. 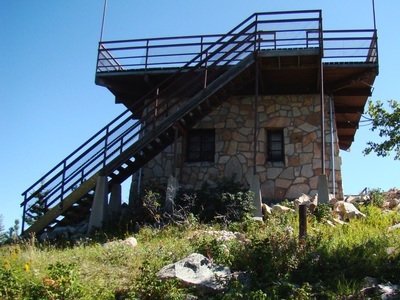 An old fire tower sits at the summit, de-commissioned and re-modeled into a large observation deck. Because of that observation deck, visitors are treated to a great panoramic view of the northern Black Hills. 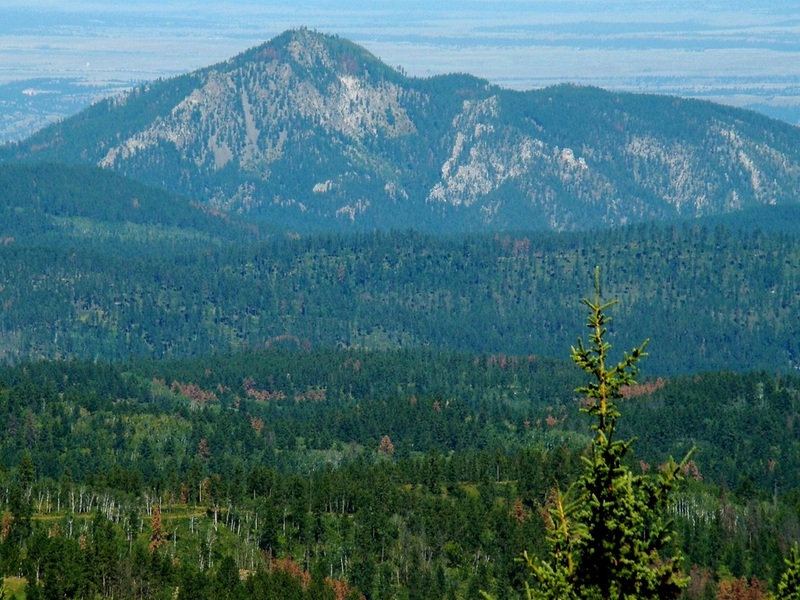 Summits easy to identify from Terry Peak include Crow Peak, Inyan Kara Mountain (Wyoming), Custer Peak, Bear Butte, Little Crow Peak, Spearfish Peak and more. 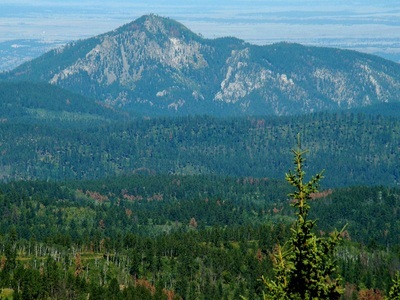 The upper rim of Spearfish Canyon is also visible from the summit. In years past, some hikers were occasionally able to obtain permission from the operators of the Terry Peak Ski Area to do summer hikes up the ski trails. 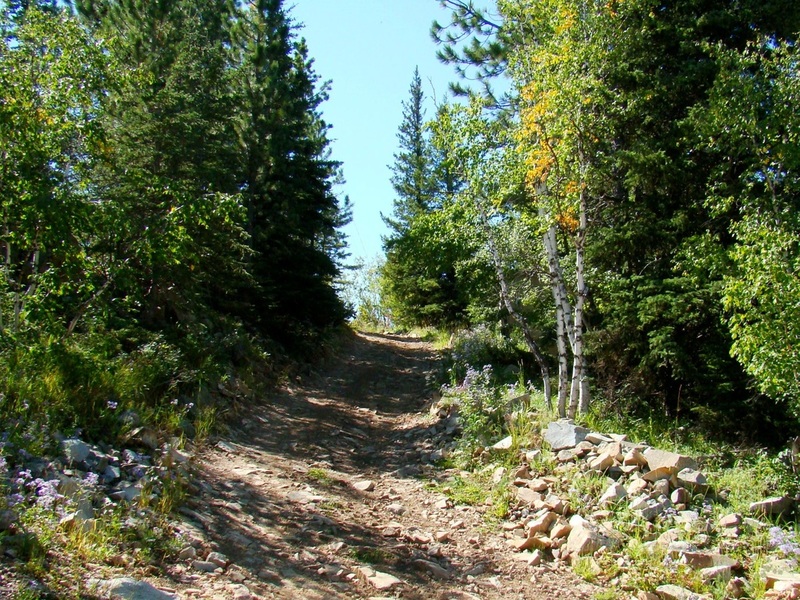 But summer maintenance projects on the ski trails, plus temporary closures for the mining operations happening on the mountain, make this option very undependable. 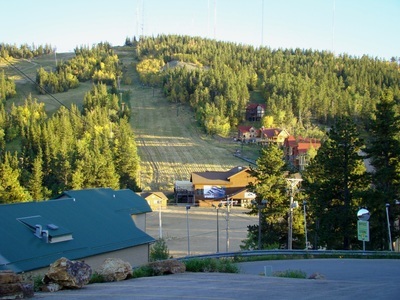 Terry Peak Summit Road is about 9 miles from downtown Deadwood, via Highway 85. 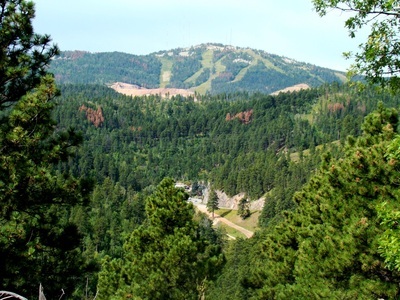 From downtown Spearfish, it is about 22 miles to Terry Peak Summit Road, via Highway 14, through Spearfish Canyon. 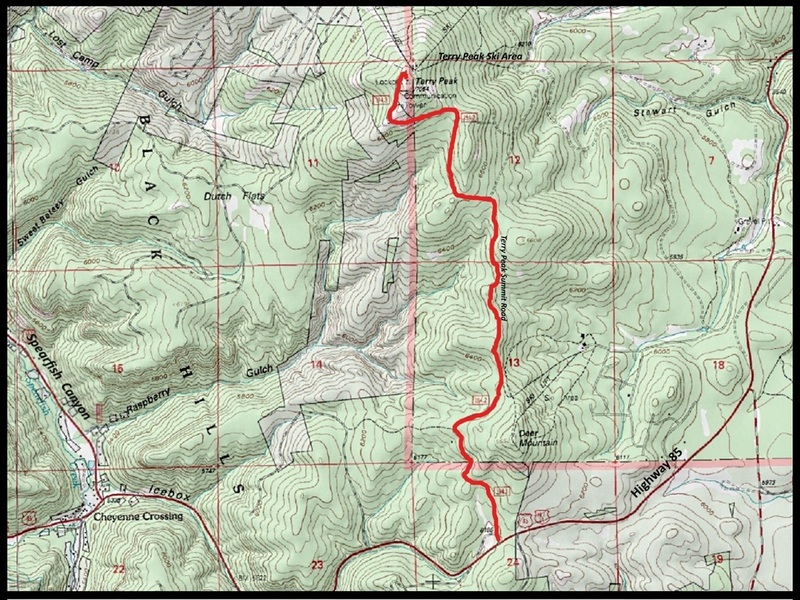 From the intersection at Highways 85 & 14, the road is 3.3 miles to the summit, with 860 feet of elevation gain. 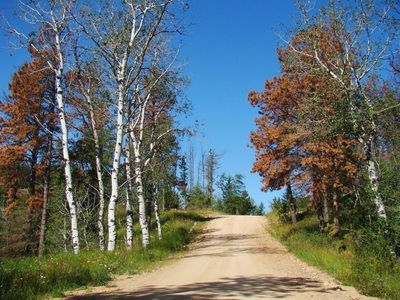 There is not much room to park at the road junction, and there is occasional traffic – usually utility trucks. 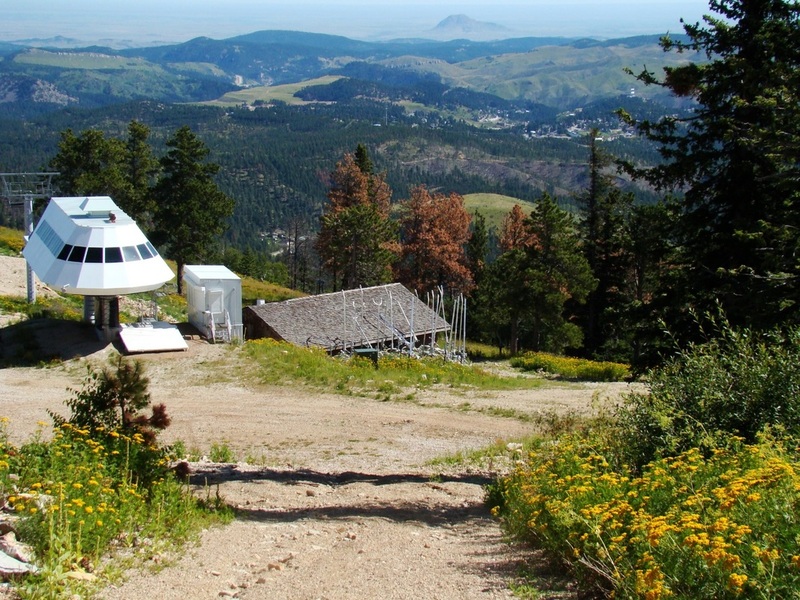 So please park your vehicle safely before you hike to the summit. There is one large radio tower right at the end of the road. A ski lift is on the other side of the summit and the actual highpoint you can see to the right (south). 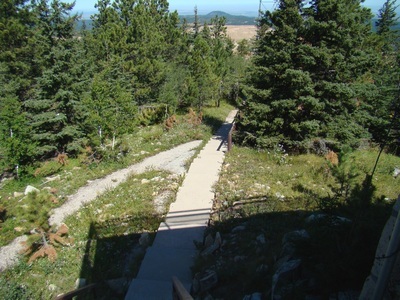 There is a sidewalk to the stairway that goes up the observation deck. A map of the route to the summit is included among the photos below.